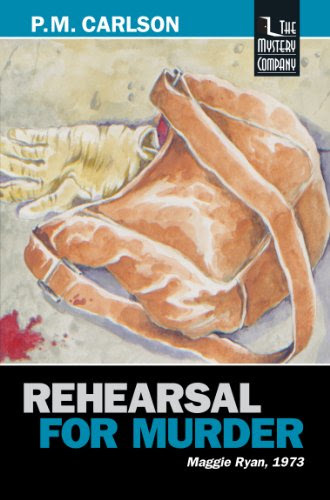 Thank you for joining us on the Virtual Book Tour for Rehearsal for Murder, a Traditional Mystery by P.M. Carlson (first published July 1988, this edition 30 September 2013,The Mystery Company, 222 pages). This is the fifth book in the Maggie Ryan series. Author P.M. Carlson will be awarding a $15 Amazon/BN gift card to a randomly drawn winner via Rafflecopter during the tour. Please do take part: comment on our post and follow the tour where you will be able to read other excerpts (☀). Thank you for joining us on the Virtual Book Tour for The Sullivans Boxed Set, a Contemporary Romance by Bella Andre (5 December 2015, Oak Press, LLC, 662 pages). This box set contains books 1 to 3 in The Sullivans series. Author Bella Andre will be awarding a signed copy of the The Sullivans Box Set and a tote bag to two randomly drawn winners via Rafflecopter during the tour. Please do take part: comment on our post and follow the tour where you will be able to read other excerpts (☀), and reviews (✍). Thank you for joining us on the Virtual Book Tour for The Forgiveness Solution, a Self-Help Inspirational book by Rev. Misty Tyme (11 July 2017, Sacred Stories Publishing, TBC pages). PREVIEW: Check out the book's synopsis, Rev. Misty's VBlogs and the Kindle Cloud Reader Preview below. Author Rev. Misty Tyme will be awarding a $10 Amazon/BN gift card to a randomly drawn winner via Rafflecopter during the tour. Please do take part: comment on our post and follow the tour where you will be able to read other excerpts (☀), and reviews (✍). All major religions and societies agree forgiveness is a good idea. But what they haven’t taught us is how to forgive. 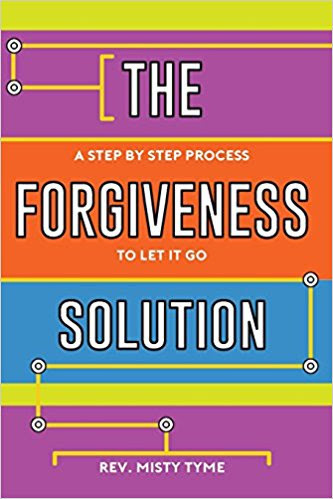 The Forgiveness Solution gives you the how in a proven step by step formula that brings relief from the hurt and puts you on the road to living the happy, healthy life that God has intended for you. 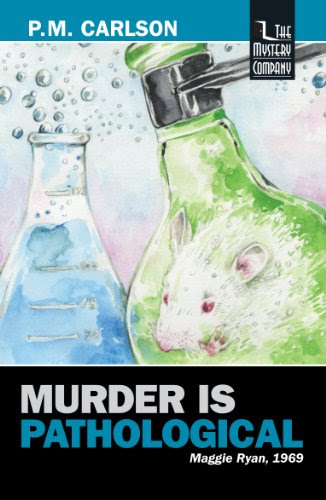 Thank you for joining us on the Virtual Book Tour for Murder Is Pathological, a Traditional Mystery by P.M. Carlson (First published January 1986; this edition 29 April 2013, The Mystery Company, 214 pages). This is the third book in the Maggie Ryan series. 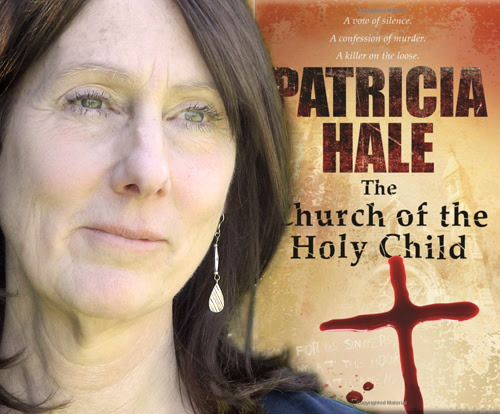 Today we have the pleasure of meeting up with author Patricia Hale to talk about The Church of the Holy Child (15 August 2017, Intrigue Publishing LLC, 259 pages), a Mystery, book one of the Britt Callahan / Griff Cole PI series. A very warm welcome to Patricia Hale; thank you for joining us on BooksChatter! What was the inspiration for The Church of the Holy Child? 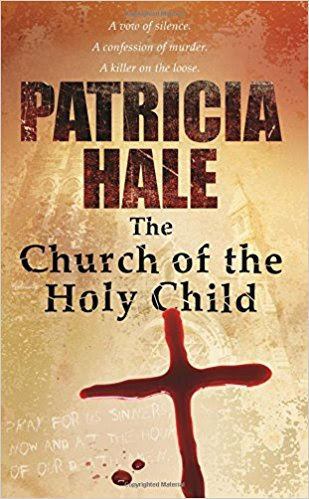 Thank you for joining us on the Virtual Book Tour for The Church of the Holy Child, a Mystery by Patricia Hale (15 August 2017, Intrigue Publishing LLC, 259 pages). This is the first book in the Cole and Callahan series. Today author Megan Carney takes over our blog to tell us about The Glass Bowl: Democracy, Dissent, Privacy, Security. 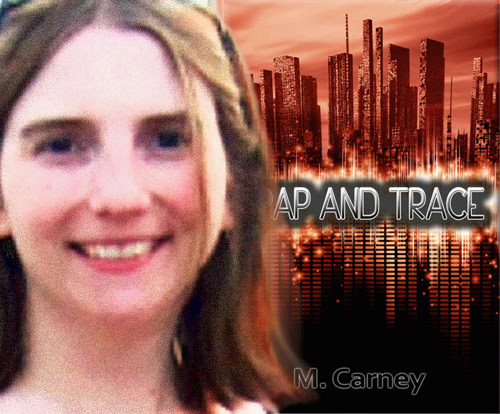 Her latest novel is Trap and Trace (25 July 2017, Megan Carney, 453 pages), an Adventure Thriller. Thank you for joining us on the last day of the Virtual Book Tour for Seven Days with You, a Young Adult Coming of Age novel by debut author Hugo Driscoll (18 July 2017, Hugo Driscoll, 134 pages). Don't miss our quick-fire Q&A with Hugo Driscoll. 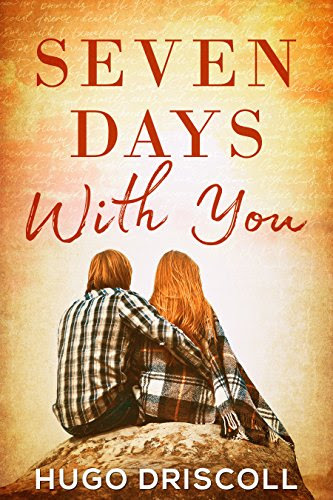 Seven Days with You is FREE on Kindle Unlimited and Kindle Owner's Lending Library. Author Hugo Driscoll will be awarding a $50 Amazon/BN gift card to a randomly drawn winner via Rafflecopter during the tour. Please do take part: comment on our post and follow the tour where you will be able to read other excerpts (☀), interviews (ℚ), reviews (✍) and guest blog posts (✉). 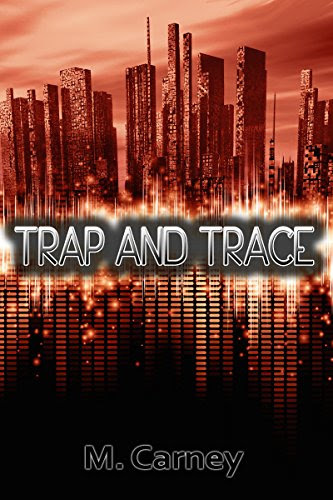 Thank you for joining us on the Virtual Book Tour for Trap and Trace, a Adventure Thriller by Megan Carney (25 July 2017,Megan Carney, 453 pages). Don't miss our guest post by Megan Carney: The Glass Bowl: Democracy, Dissent, Privacy, Security. Author Megan Carney will be awarding an RFID blocking wallet to a randomly drawn winner via Rafflecopter during the tour. Please do take part: comment on our post and follow the tour where you will be able to read other excerpts (☀), interviews (ℚ), reviews (✍) and guest blog posts (✉). Today author Cindy Lynn Speer takes over our blog to tell us about her ideal writing space. 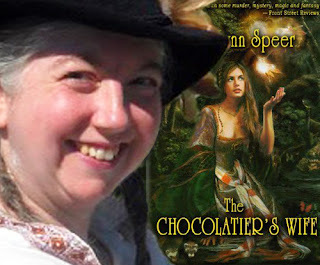 Her latest novel is The Chocolatier's Ghost (28 June 2017, Dragonwell Publishing, 420 pages), a Fantasy Mystery, book two of The Chocolatier's Wife series. Thank you for joining us on the Virtual Book Tour for The Good Daughter, a Thriller mixed with Psychological Suspense by Karin Slaughter (13 July 2017, HarperCollins, 545 pages). 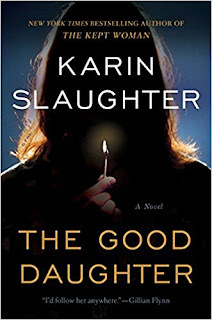 Author Karin Slaughter will be awarding a hardback copy of The Good Daughter to five randomly drawn winners via Rafflecopter during the tour. Please do take part: comment on our post and follow the tour where you will be able to read other excerpts (☀), and reviews (✍). Thank you for joining us on the Virtual Book Tour for The Chocolatier's Ghost, a Fantary Mystery by Cindy Lynn Speer (28 June 2017, Dragonwell Publishing, 420 pages). This is the second stand-alone book in The Chocolatier's Wife series. 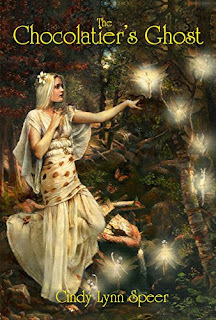 Don't miss our Guest Post by author Cindy Lynn Speer who tells us about her ideal writing space. Author Cindy Lynn Speer will be awarding a $50 Amazon/BN gift card to a randomly drawn winner via Rafflecopter during the tour. Please do take part: comment on our post and follow the tour where you will be able to read other excerpts (☀), interviews (ℚ), reviews (✍) and guest blog posts (✉). Today we have the pleasure of meeting up with author John Herrick to talk about Beautiful Mess (30 July 2017, Segue Blue, 295 pages), a Mainstream fiction (romantic comedy with a multigenerational ensemble cast). 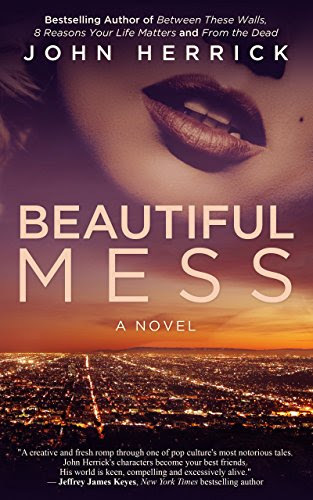 Thank you for joining us on the Virtual Book Tour for Beautiful Mess, a Mainstream fiction (romantic comedy with a multigenerational ensemble cast) by John Herrick (30 July 2017, Segue Blue, 295 pages). Don't miss our interview with author John Herrick. BEAUTIFUL MESS is a romantic-comedy in the tradition of films Pretty Woman and Valentine's Day. It will warm the hearts of readers whose interests include general fiction, new adult, young adult, romance, and inspirational fiction, as well as love story mainstream fiction best sellers by Emily Giffin, Nicholas Sparks, Jodi Picoult, Emily Giffin, and Elin Hilderbrand. PREVIEW: Check out the book's synopsis and the Kindle Cloud Reader Preview below. Beautiful Mess is FREE on Kindle Unlimited and Kindle Owner's Lending Library. 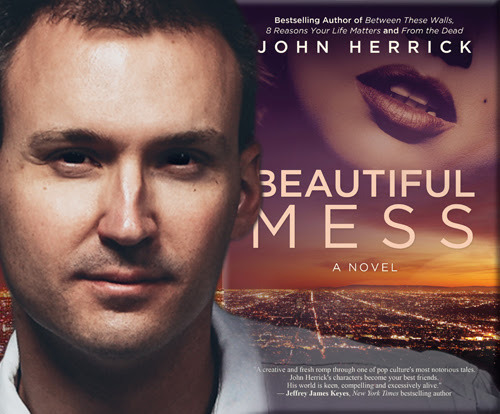 Author John Herrick will be awarding a Kindle version of Beautiful Mess, plus free Kindle versions of his entire backlist to a randomly drawn winner via Rafflecopter during the tour. Please do take part: comment on our post and follow the tour where you will be able to read other excerpts (☀), interviews (ℚ), reviews (✍) and guest blog posts (✉). Today author Chris Patchell takes over our blog to tell us about Creating a Killer. Her latest novel is Dark Harvest (30 May 2017, Chris Patchell, 346 pages), a Suspense, book two of Holt Foundation Stories series. Are you new to Chris Patchell's writing? For a limited time, you can download a copy of her best seller, Deadly Lies, for FREE from InstaFreebie! Don't miss our our Interview with Chris, about the first book in the series, In The Dark. 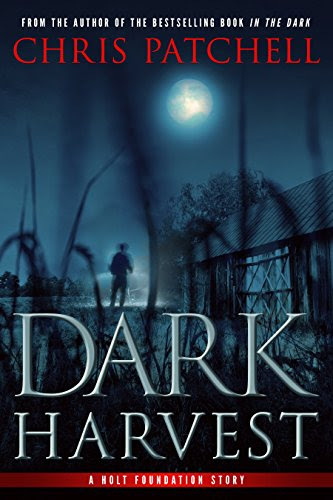 Thank you for joining us on the Virtual Book Tour for Dark Harvest, a Suspense by Chris Patchell (30 May 2017, Chris Patchell, 346 pages). This is the second book in the Holt Foundation Stories series. 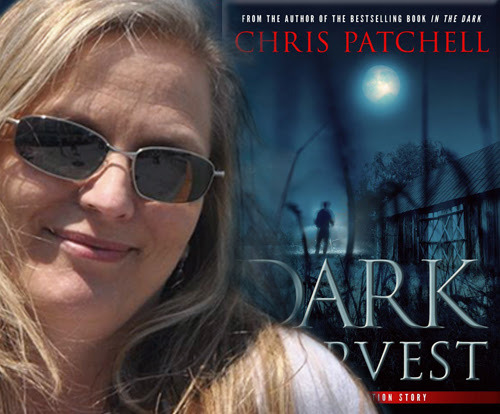 Don't miss our guest post by author Chris Patchell where she tells us about Creating A KIller. Dark Harvest is FREE on Kindle Unlimited and Kindle Owner's Lending Library. Author Chris Patchell will be awarding a $20 Amazon/BN gift card to a randomly drawn winner via Rafflecopter during the tour. Please do take part: comment on our post and follow the tour where you will be able to read other excerpts (☀), interviews (ℚ), reviews (✍) and guest blog posts (✉). 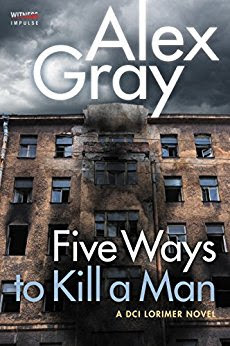 Thank you for joining us on the Virtual Book Tour for Five Ways To Kill a Man, a Police Procedural by Alex Gray (first published 6 May 2010, this new edition 1 August 2017, Witness Impulse, 350 pages). This is the seventh book in the DCI Lorimer series. 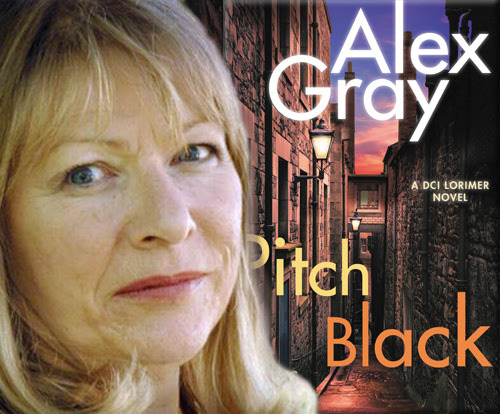 Author Alex Gray will be awarding a digital copy of Glasgow Kiss to three randomly drawn winners via Rafflecopter during the tour. Please do take part: comment on our post and follow the tour where you will be able to read other excerpts (☀), and reviews (✍). Today author Gareth Worthington takes over our blog to tell us where he finds the time to write. Children of the Fifth Sun (25 July 2017, Vesuvian Books, 542 pages), a Science Faction" - science fiction, action and adventure with fact-based science, theories, and mythology - is his latest novel. 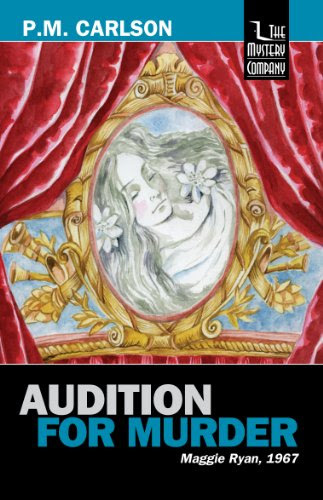 Thank you for joining us on the Virtual Book Tour for Audition for Murder, a Traditional Mystery by P.M. Carlson (first published May 1985; this edition 28 September 2012, The Mystery Company, 236 pages). This is the first book in the Maggie Ryan series. PREVIEW: Check out the book's synopsis, author video intro, and the Kindle Cloud Reader Preview below. 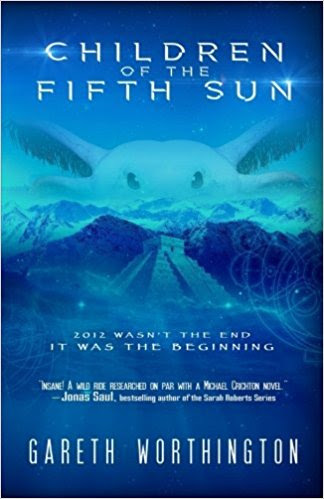 Thank you for joining us on the Virtual Book Tour for Children of the Fifth Sun, a Science Faction - science fiction, action and adventure with fact-based science, theories, and mythology - by Gareth Worthington (25 July 2017, Vesuvian Books, 542 pages). Don't miss our Guest Post by author Gareth Worthington: "Who has the time?" Children of the Fifth Sun is FREE on Kindle Unlimited and Kindle Owner's Lending Library. 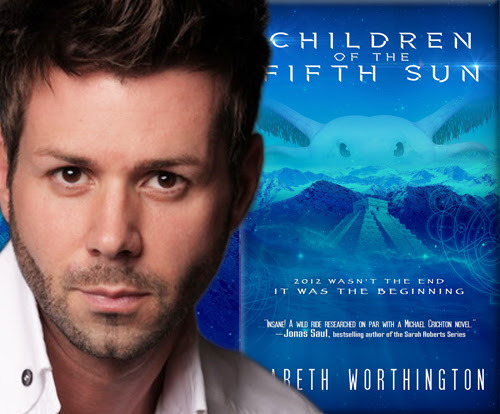 Author Gareth Worthington will be awarding a $25 Amazon/BN gift card, and three digital copies of Children Of The Fifth Sun to randomly drawn winners, via Rafflecopter during the tour. Please do take part: comment on our post and follow the tour where you will be able to read other excerpts (☀), interviews (ℚ), reviews (✍) and guest blog posts (✉).